Ms. Supriya Kar is doing her PhD in literary translation. Her research focuses on autobiographical writings of women from the Eastern Indian state of Orissa. Here, she discusses various problems of translation, particularly in the context of her work. While translating, the aim was to translate so that the original should not lose its flavour, but be readable and enjoyable in the target language, without overloading the text with footnotes and glossaries that make it cumbersome for readers. While translating from Oriya into English, the problems one encounters are more insidious than just finding the right word or expression. Partly, they flow from the very structure of the language. In addition, many of our descriptive words are highly onomatopoetic and thus almost impossible to render in English, as are the kinship terms and names of dishes, trees and flowers. One can feel there is a palpable tension, which results from the pressure the source language exerts on the target language. 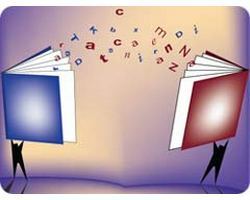 The task of a translator is to minimise this tension as much as possible. Each and every sentence poses a problem. Inside the mind it goes on—permutations and combinations of words, struggling with the shape of each sentence— negotiating, groping for the right phrase. And yet the feeling of dissatisfaction persists. Tenses in Oriya are organised slightly differently than in English. Although on paper they correspond, their boundaries do not quite map onto each other. This is because time conventions differ in different societies. The present is a much more elastic concept in Oriya than in English. That is why most Indians use English tenses wrongly. Common errors are the use of past perfect for simple past (‘I had done’ instead of ‘I did’) because Indians instinctively feel that simple past is not strong enough to indicate that something happened before now. They also use present continuous (I am doing) for simple present ‘I do.’ These problems exist across Indian languages. The problem is that while translators may be technically correct when they translate an Oriya literary text into an English present tense narrative, they are not being true to the precept that the target text should have validity as a work of art in its own right. It is bewildering to read a text translated into present tense, especially as somewhere down the line it tends to seep back into past tense. Currency: adhala, pahula, ana. There is no corresponding currency in English. Quantity: bharan, khoja, pa. These are ancient units of measurement and sometimes used idiomatically. Slangs, Tongue-in-Cheek Expressions: chhatari, Bolibe jati sange eka ramani. There is no corresponding slang for ‘chhatari’ which is used derogatorily and abusively to mean a woman of loose morals. Literally, it means one who begs for food at chhatars or charity kitchens. Bolibe jati sange eka ramani: People would say that one holy man is accompanied by a young woman. But the meaning of this tongue-in-cheek expression would lose its resonance if the original does not accompany its English translation. Lunar Months: Bhadrav, Ashwina, Kartik, Margashira. A Lunar month corresponds to the period between one full moon to the next full moon. The lunar calendar is followed in observing festivals, as it is believed that the movement of the moon has a decisive influence over the affairs of human beings. Food: ladu, badi, puri, malpua, mohanbhoga, khechudi, arisa, pura. Referring to these as delicacies or sweets would take away their cultural specificity. Caste: karana, khandayat, chamar, radhi. The caste of a person signified his/her occupation, social status etc. These are also associated with notions of purity and pollution. The concept of caste is so quintessentially Indian that while translating Indian literary texts one has no option but to retain terms denoting caste. Art: champu, jatra, patta. These words denote forms of fine and performing arts in Orissa, and do not have any English equivalents. Religion: agni-pariksha, tulsi, triveni, pratah smaramy, mahamnatra, dhama, mahaprasad, mansik, homa, darshan, ashram, kathau, kirtan, akash-dipa, chaura, Amrutayana, Harinama, Ramanama, Ramdhun. These refer to religious practices which are rooted in Indian culture and their full significance can not be conveyed through English equivalents. They have therefore been retained in the translation and glossed where necessary. Rituals and Social Practices: sholamangala, dashaha, hulahuli, haribola, shradha, ekadashi, purdah, ana-tutha, padhuan. These practices are typical of Oriya culture and so have been kept as such and glossed wherever necessary. Festivals: Festivals such as Kumar Purnima, Raja, Kartik Purnima, Bali Trutiya underline the singularity of the cultural and religious practices prevalent in Orissa. Each festival is rooted in a specific narrative and has mythical associations. These are retained as such.